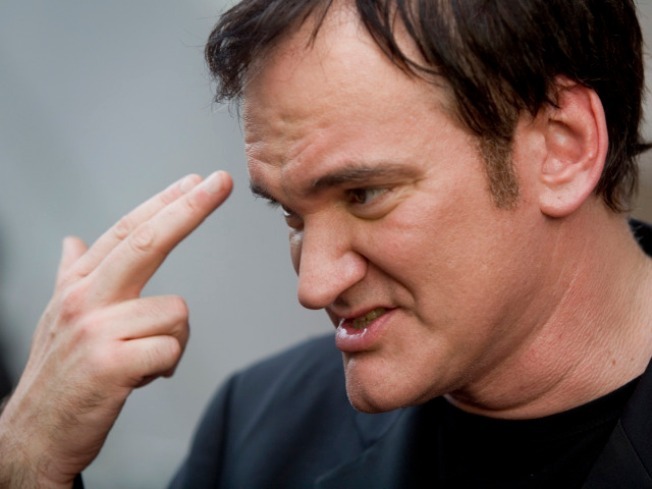 What’s Quentin Tarantino Talking About? Think you can catch all the references in a Quentin Tarantino film? Let’s assume that you paid just enough attention in history class and that you know how Adolf Hitler eventually died, and you’re aware that it had nothing to do with crazy interconnected assassination plots staged by French Resistance cinephiles or a team of swaggering, American, bloodlust-crazed, working class Jews. Then you can walk right into Quentin Tarantino’s sprawling, gory, tense, hilariously strutting vision of fact-implosion and skull-carving called “Inglourious Basterds” and not really worry too much about the million other bytes of movie-nerd information he’s machine-gun spraying all over you. You’ll understand that this is one man’s fantasy of how the Greatest Generation’s war could have ended and leave the theater afterward both grossed out and thoroughly entertained. But that’s not all you get when you watch one of Tarantino’s movies. 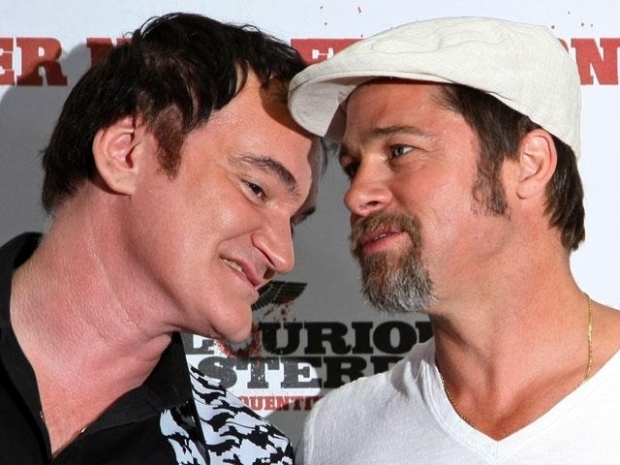 Brad Pitt stars in Quentin Tarantino's new ultra-violent movie about a group of Jewish-American soldiers whose mission is to brutally kill Nazis. “Le Corbeau”: Director Henri-Georges Clouzot’s 1943 film about gossip, misinformation and paranoia in a small French village that turns friends against each other in a storm of suspicion and persecution. The Nazis, smartly sensing it was about them, banned it in Occupied France, so of course it’s featured on a Paris cinema’s marquee in “Basterds.” Improbable in real life, yes, but not in the QT universe. Enzo G. Castellari: Who is he? An Italian director of movies like “Battle Command,” “Go Kill Everybody and Come Back Alone,” “Detective Extralarge: Yo Yo,” and “Cry, Onion!” Oh yeah, and another movie called “Inglorious Bastards,” which has almost nothing to do with this new one. Born in 1938, he’s been around a long time and is not about to stop now. He plays himself in “Basterds” (and how that comes to be is never explained, so don’t bother wondering, even if you do recognize him) and is currently working on his own film called “Caribbean Basterds,” which should be pretty cool. “Kolberg”: Joseph Goebbels, Hitler’s propaganda minister, was also a film obsessive and oversaw the production of over a thousand movies during his time in power. His big passion? “Gone With the Wind.” Naturally, he wanted to make his own, and 1945’s “Kolberg” was it, a sweeping epic about a brave Prussian town’s stand against Napoleon. Its Scarlett O’Hara was a farmer’s daughter who encourages the men to sacrifice themselves for the noble cause. The main female Nazi-hunting hero of “Inglourious Basterds,” meanwhile, is herself a dairy farmer’s daughter. Call it an inverse shout-out. “Dark of the Sun”: A 1968 “men on a mission” movie about mercenaries fighting in the Congo. Stars Rod Taylor and Yvette Mimieux. Taylor plays Winston Churchill in “Basterds.” Meanwhile, a female character has the last name Mimieux. 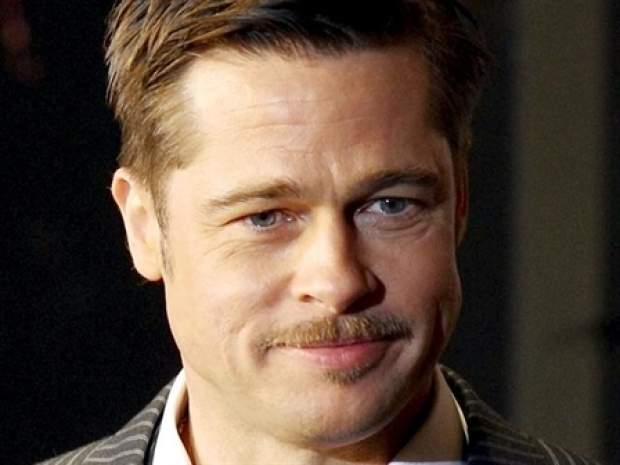 Lieutenant Aldo Raine (Brad Pitt) leads a group of Jewish American soldiers on a mission to take down Hitler and the Third Reich. Look for director Quentin Tarantino's latest in theaters on August 21. “Rolling Thunder”: A 1977 “they killed his wife and child” revenge movie (a QT favorite, he named his film distribution company after it) starring William Devane as war hero “Major Charles Rane.” Brad Pitt’s character in “Basterds” is named Aldo Raine after Devane’s character and after movie star Aldo Ray. In fact, the name game goes on and on, as characters in the Tarantino universe frequently take their names from beloved characters in older films or from the actors who starred in them. And characters from one Tarantino film are sometimes connected to characters from his other productions, as it was recently revealed that Eli Roth’s Nazi-bashing (literally, with a baseball bat, right before his fellow basterds scalp them) hero Donny Donowitz is meant to be the father of a character named Lee Donowitz (played by Saul Rubinek) in the Tarantino-penned “True Romance.” Because, you know, why not? Jean-Luc Godard: As responsible as anyone for Tarantino’s love of running interference between the people doing the viewing and the thing being viewed, pointing out at every turn that this is “CINEMA.” Godard dedicated his French New Wave classic “Breathless” to American genre film studio Monogram Pictures and spent that entire movie framing Jean-Paul Belmondo as Humphrey Bogart. So when Tarantino throws text up onto the screen, like when he identifies “Basterds” characters with big bold blaxploitation-style fonts — anachronisms be damned, he does what he wants — he’s tipping his hat to the master. Dave White is the film critic for Movies.com and the author of “Exile in Guyville.” Find him at www.imdavewhite.com.